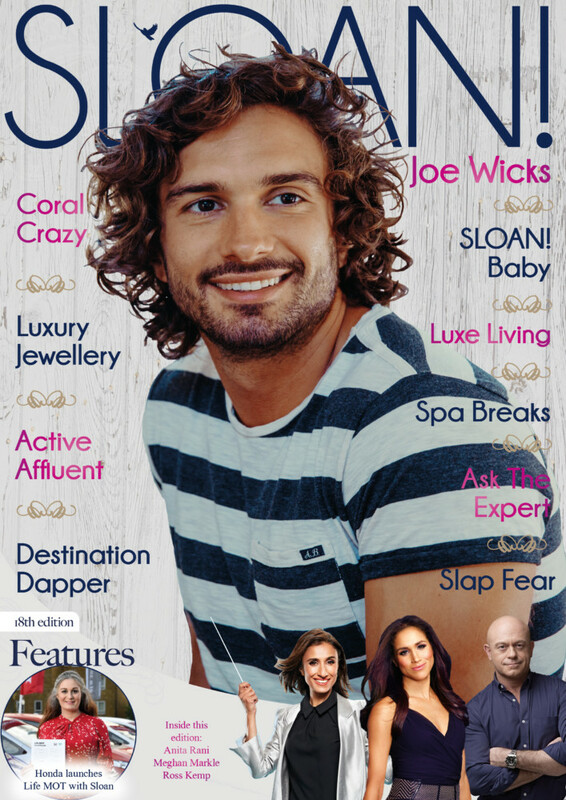 With the start of party season and Christmas shopping well underway, the SLOAN! 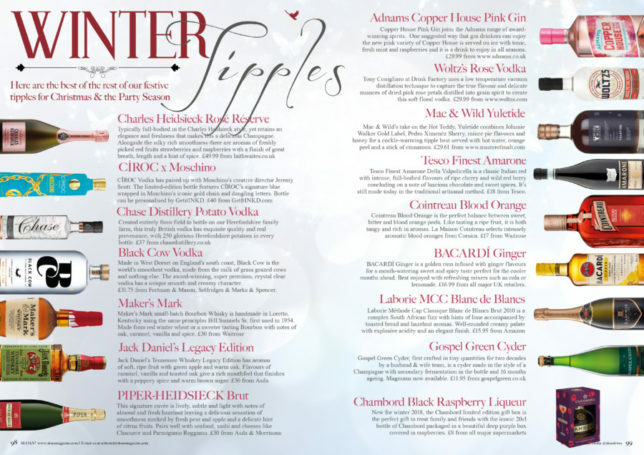 team choose their favourite festive tipples to liven up upcoming social gatherings this holiday season. Ten years ago, Appleton Estate launched a 30 Year Old blend with only 1,440 bottles available globally. 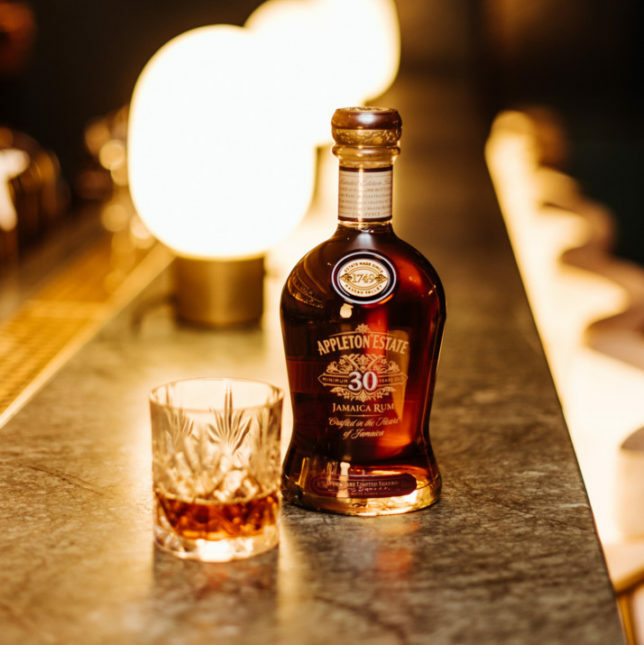 Now, due to popular demand for the original blend, Appleton Estate is introducing a new 30 Year Old rum that is even more prestigious than the first. While the youngest drop of rum has been aged for at least 30 years, this new expression includes rums aged for more than 50 years, creating a distinguished, one-of-a-kind rum experience. 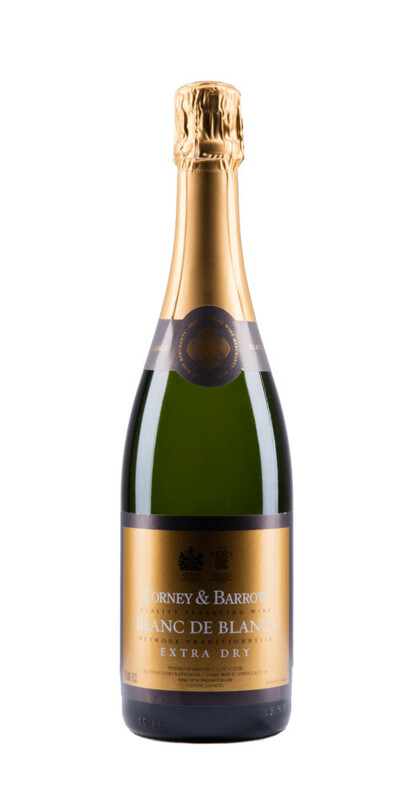 This beautiful, complex blend, created by Master Distiller Joy Spence, features notes of vibrant vanilla, toasted oak, ginger and warm cinnamon with a smooth and long, spiced honey finish. 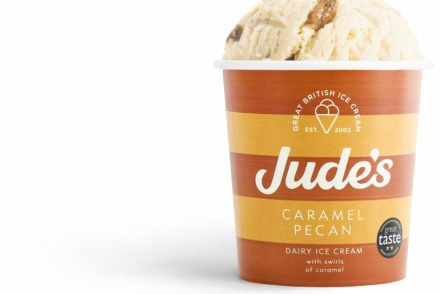 To fully appreciate the flavours, Joy recommends it to be served neat or on the rocks. 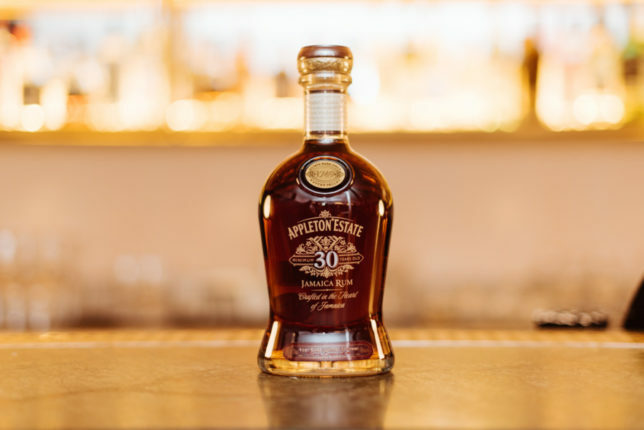 The Appleton Estate 30 Year Old is extremely rare and limited in quantity, with only 4,000 bottles available globally. Each bottle costs £399 and will be available on the Whisky Exchange beginning December 2018. 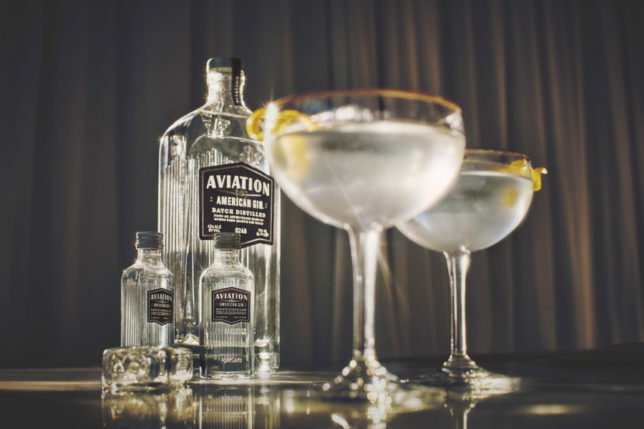 Aviation Gin, owned by actor and producer Ryan Reynolds, is the world’s highest rated gin (97 points, Wine Enthusiast) and has helped establish a new style of American gin – softer and smoother, with juniper in the background and citrus and floral notes in the front – resulting in more balanced cocktails. 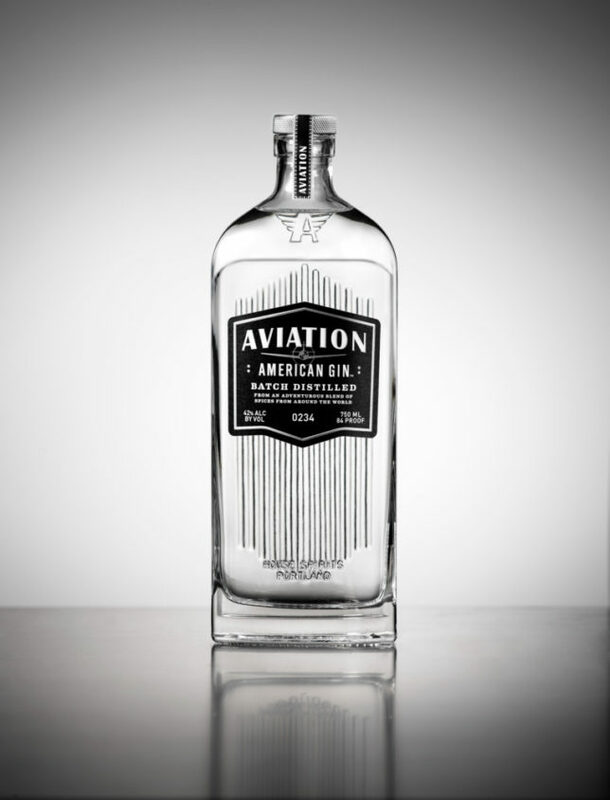 Created by a unique bartender / distiller partnership, Aviation is crafted in small batches in Portland, Oregon. Unlike juniper-heavy London Dry Gins, Aviation Gin features fresh bursts of citrus and delicate floral flavours at the forefront with subtle notes of juniper in the background. As is true of all successful partnerships, every element has been carefully chosen to complement the next, creating a gin that is perfectly balanced and silky smooth on the palate. 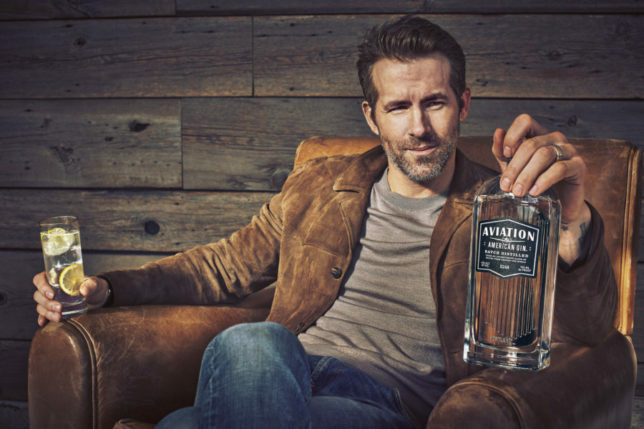 In fact, Hollywood A-lister owner, Ryan Reynolds, judges Aviation as “hands down, the best damn gin on the planet!”. 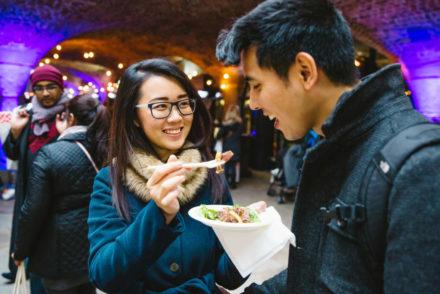 Offering a splash of festive cheer, Aviation Gin delivers a modern and unique gin experience whether entertaining or gifting over the festive period. 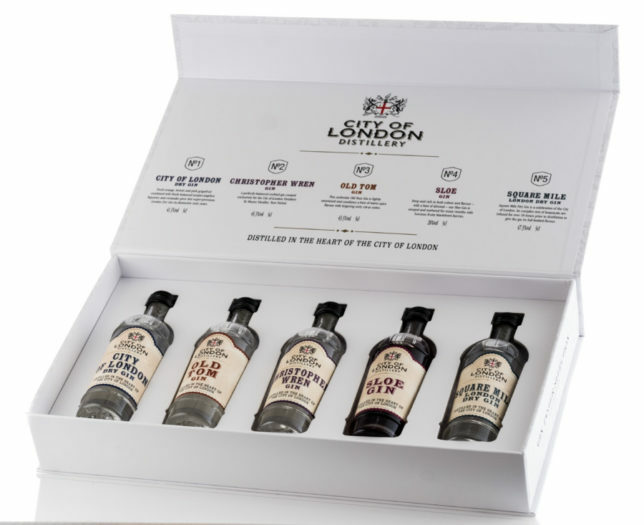 Christmas jet setters on board Virgin Atlantic flights can also look forward to sipping this award-winning gin at 35,000 feet as part of the new partnership between Aviation Gin and Virgin Atlantic, launched by Sir Richard Branson and Ryan Reynolds in September. This Christmas, Aviation will be collaborating with other iconic American brands on the ultimate travel accessory, The Aviation Gin Attaché – award-winning wireless headphones from Master & Dynamic paired with a bespoke Aviation Gin & Tonic Carry-On Cocktail Kit, held safely in a custom aluminium case from Zero Halliburton. Aviation American Gin is £34.63 available from Amazon. 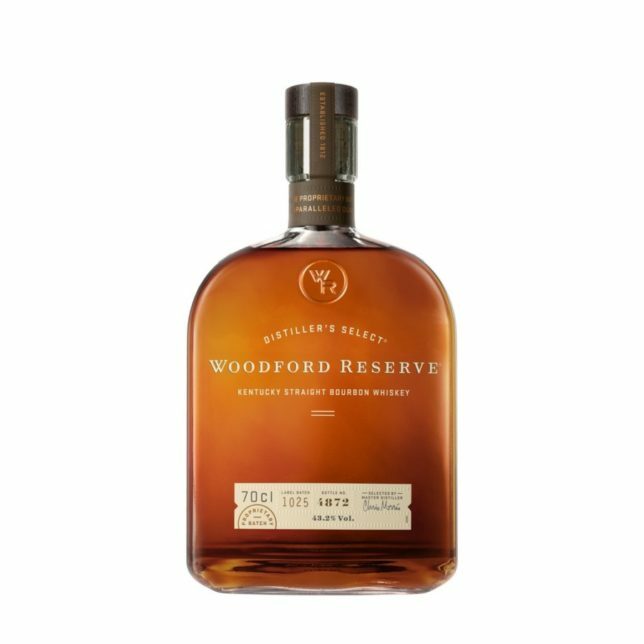 For whisky lovers looking for something a little different this Christmas, we recommend going for Woodford Reserve. It’s our Deputy Editor’s favourite bourbon and will take you straight to Kentucky USA from the very first sip. This craft bourbon’s exceptional depth and character comes from a rare distilling method that combines expertise and craft at every stage of this process. Woodford Reserve Distiller’s select is the only bourbon to be triple distilled in copper pots, meaning it’s not only its taste that is unique, but the very way it came to be. 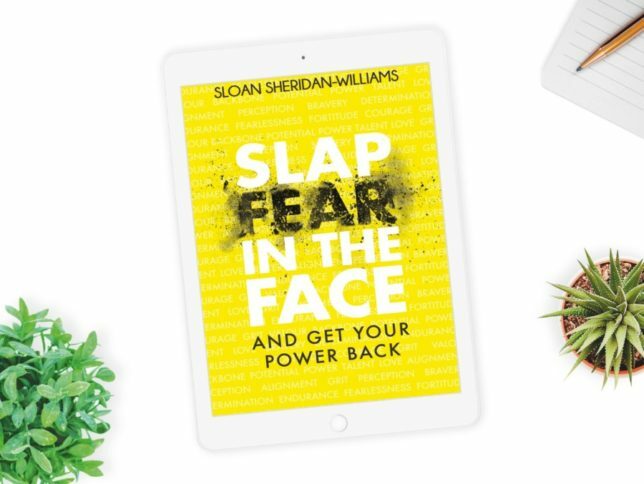 £33 available from Waitrose and Morrisons. 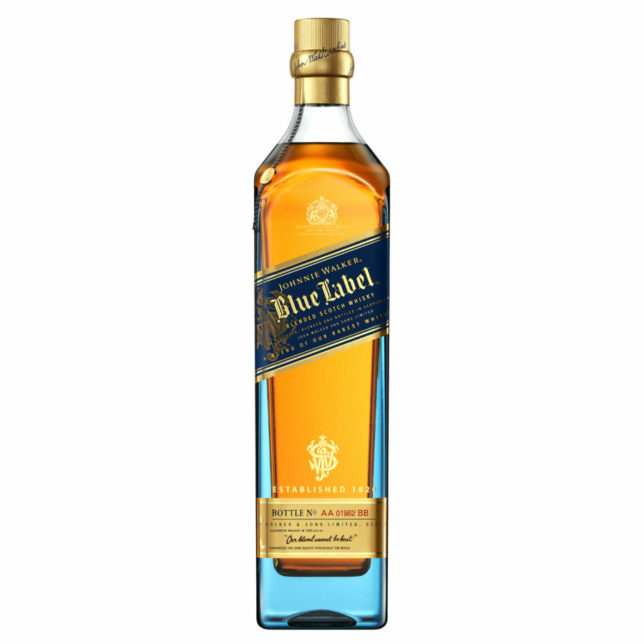 Whisky traditionalists maybe prefer the new Johnnie Walker Blue Label Ghost and Rare Port Ellen, the second in a series of special releases crafted using irreplaceable ‘ghost’ whiskies from the Johnnie Walker Blue Label reserves. At the heart of this limited edition lies the Islay single malt, Port Ellen, a ‘ghost’ distillery that shut its doors in 1983 – one of the rarest and most highly sought-after single malts in the world. 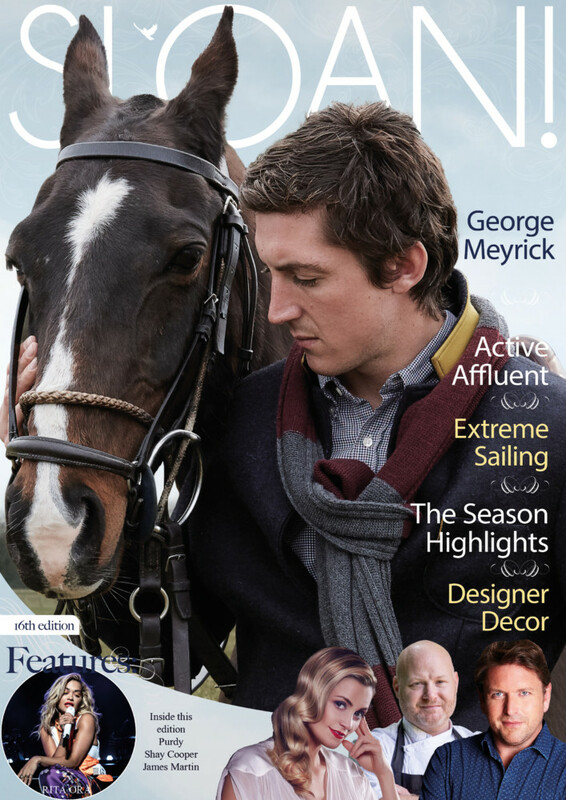 £275 available from The Whiskey Shop. 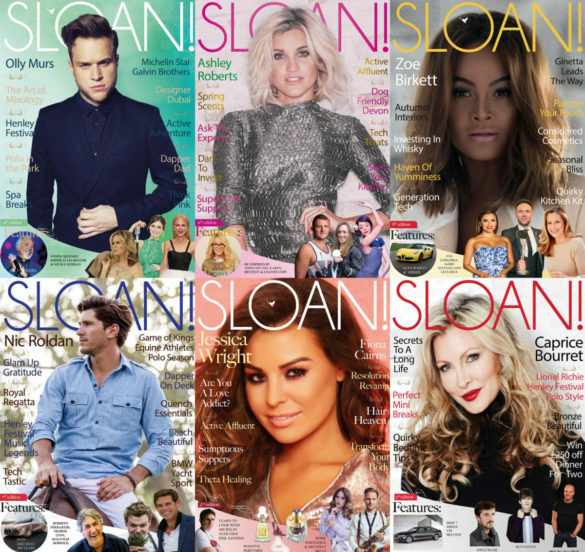 For more festive drinks suggestions, don’t miss the Christmas edition of SLOAN! 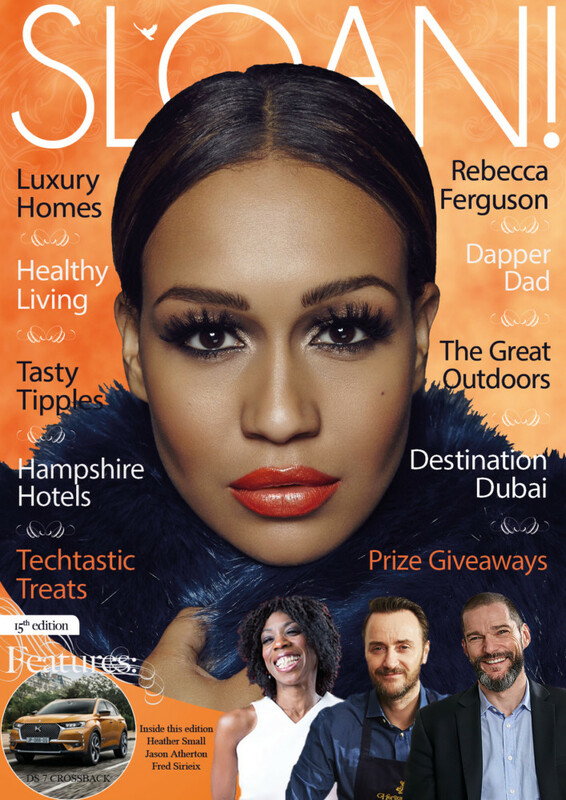 which is out now.